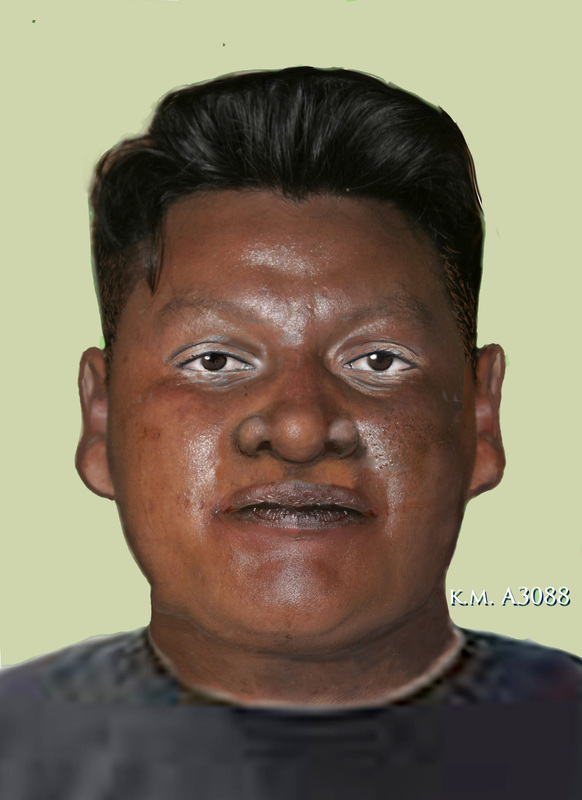 On July 20, 2004, this unidentified male was found in the area of South 57th Avenue and West Southern in Phoenix, Arizona. He had no identification and efforts to identify him have failed. He is a Native American male, 20 to 50 years old, 5'06", 143 pounds, black hair, and brown eyes. His hair was shaved closed on the sides and he had scars on his left knee. He was wearing green pants, a light yellow polo shirt with stripes, and black socks. Anyone who recognizes this subject is asked to contact the Phoenix Police Department or the Maricopa County Medical Examiner's Office. Anyone having information regarding this case is asked to contact Detective Somershoe (6395) at 602-261-8065 or The Maricopa County Medical Examiner's Office at 602-506-1138. Clothing: green pants, light yellow polo shirt with stripes, and black socks.